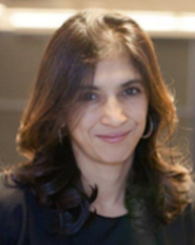 Rohini Pande is the Rafik Hariri Professor of International Political Economy at the Kennedy School of Government, Harvard University. Her research focuses on the economic analysis of the politics and consequences of different forms of redistribution, principally in developing countries. Most of her field work is based in India. Ongoing projects examine microfinance, voter campaigns and anti-corruption policies. Rohini earned her PhD from the London School of Economics and is Co-Chair of J-PAL's Political Economy & Governance sector.